What's on your USB drive? You might have a mixture of work related information, personal photos and other things that you wouldn't want to get into the wrong hands. USB drives are small, and that makes them easy to lose. Kingston Technologies offers encrypted USB drives that can help keep your data secure. Don spoke with Ruben from Kingston Technologies at CES 2018. Ruben brought several encrypted USB drives that showcase Kingston's latest technology. Some are designed for individuals to use, while others provide the enhanced security that is needed by the government, corporations and financial institutions. 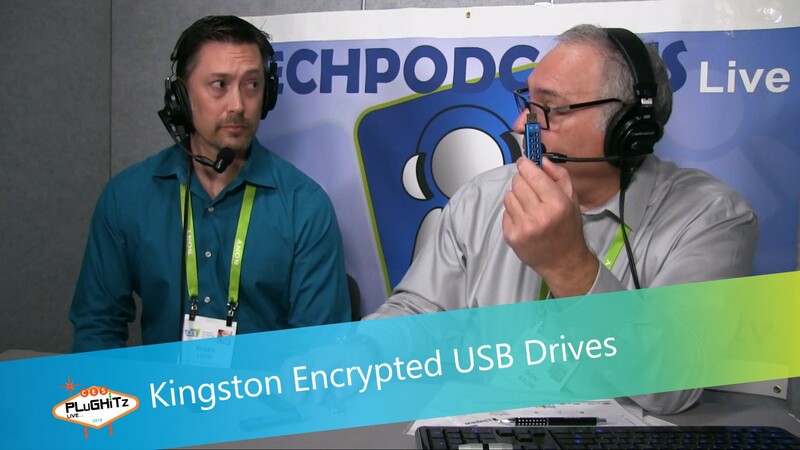 Kingston's encrypted USB drives require the user to put in a password before they can access the data that is on the drive. The DataTraveler 200 has buttons on the USB drive that you use to enter your password. Put the DataTraveler Vault Privacy 3.0 encrypted USB drive into a computer, and it will immediately put up a window and ask for the password. All of Kingston's USB drives have hardware based encryption. The board is dipped in epoxy before it is put in the case. The higher end USB drives also have the case filled with epoxy. All of Kingston's products have brute force protection. If you enter the password more than 10 times incorrectly, it is going to wipe the drive clean. The retail price of encrypted USB drives range between $40 and up to $600.